So I don’t talk about the hair-raising effect of art unless it actually physically moves my arm hairs from flat to standing. When I watched Melissa perform for the first time at an art gallery in Brixton, her words hit me in the chest like a javelin powered by unfathomable energy, courage and exceptional rhythm. She was performing a spoken word poem about Palestine, reaching out to us as humans by talking about the injustice done to ‘people’ rather than ‘sides’. As wonderful as it is to simply be blown away by talent, I feel genuinely moved when I see artists dare to go beyond the boundaries of entertainment and communicate with us about the issues that presently challenge our local and international communities. Art can be a very powerful tool in doing this, because it transcends beaurocracy and reaches many of us on a deeper level. So I’m writing about Melissa because we need her intelligence and bravery in the creative industries. She is a rapper, spoken word poet and vocalist who was, very similarly to me, inspired a great deal by her musical father. Perhaps due to his influence in her life, she was able to write her first song, It’s Raining, in primary school with her (then and now) best friend. They were quickly noticed by a teacher, who got them to perform it in an assembly. Many performing years later, Melissa is being featured on a mixtape presenting the best of UK HipHop MCs. This will be released by Manage from Caxton Press, who she is working with, alongside producers such as Cross Bone T, Phybaoptikz and Downstroke Beats. 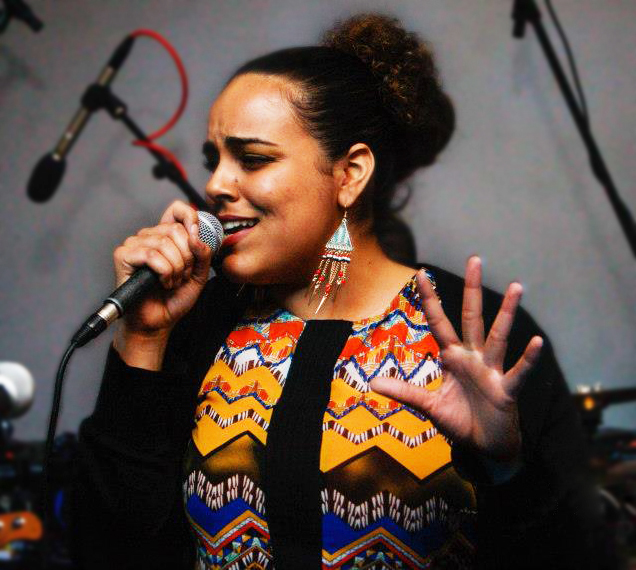 She also performs all over London City with Shopfloor Sessions and New Tribe collectives.